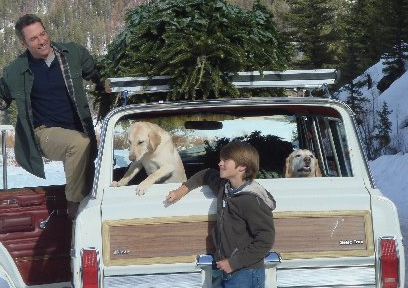 We received an order again from LL Bean again this year for their numerous photo shoots accross the country. 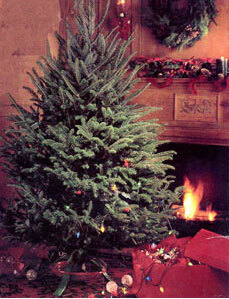 We shipped trees to Sun Valley, ID, Breckenridge, CO and of course, Freeport, ME. It has been a pleasure to work with them again. This is one of the pictures they sent me after the shoot. I guess it didn’t dawn on me that we really do have so much more than we realize until this exact scene played out on the farm during the choose and cut season last year. There was a couple that came up from South Carolina with their two dogs. The dogs ran around the farm playing and having a great time with everyone around. Christmas music was in the air. Hot chocolate steamed in everyone’s mits. There was even snow on the ground to top it off. We don’t have the picture perfect life all the time but the North Carolina mountains sure are a beautiful place to live and work. Be sure to come and see us this year. The Farm is open Thanksgiving Day and every day thereafter from 8:00 am until dark (around 5:00 pm). You can walk through the farm and choose your own tree. We offer warm inside accommodations, refreshments, restrooms, and weekend Santa Claus visits. Our staff will help you cut the tree and load it into your car. The farm’s address is: 901 Balsam Drive Newland, North Carolina 28657.